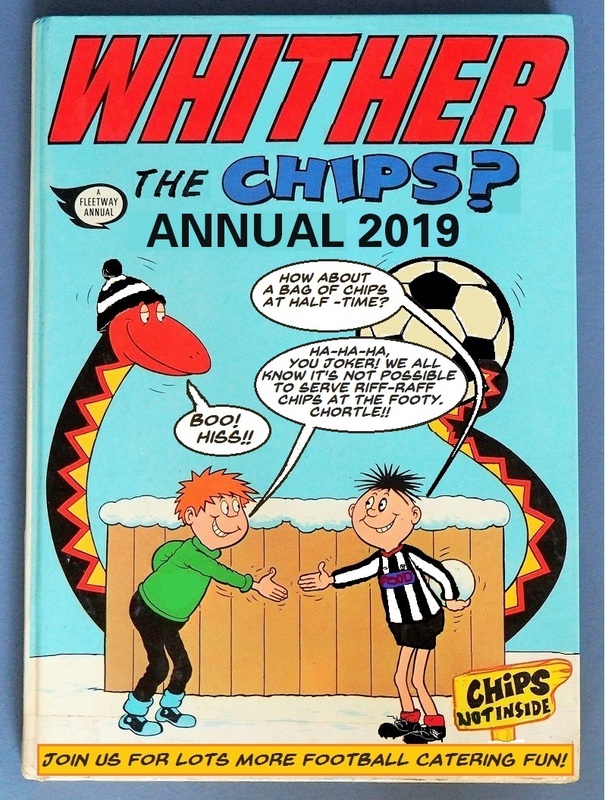 We all read this comic when we were kids but it's great to see that Sid's Snake and all of our favourite characters are still going strong but with an added focus on what's possible to offer at half time in football grounds! Have you spotted any more comics with Town-related tomfoolery? Let us know! More from this season... A hero and the price he paid: Matt Tees and dementiaA Tommy of the Town digestApril showersBrian Hill and other crimes against humanityBrian Hill: wonderful wing-raiderChampions: a short story based on true eventsChampions: part two of a story based on true eventsFenty's Six Game RuleFortress Blundell Park?Great Scott!GTFC Happiness Index July 2018Happy anniversary, Mr JolleyI was there when Town won at SelhurstI wasn't there: The day we hammered Huddersfield 2-2Just SeventeenthLive streaming: embrace the changeLoco in El PasoMoore MagazineNunty ComicOf Owls and CodsParklife: a seventies childhood on Sussex RecPlastics: the only way up is to stay downProper ground, proper floodlightsSeventh heaven and unholy smokeSomething goodTeachers and policemenThe Cod Almighty guide to modern footballThe night we thrashed Spurs 0-3The year we touched the skyThey used to play on gravel: seven intriguing GTFC friendliesTommy of the Town: season 2, episode 1Tommy of the Town: season 2, episode 2Whither the Chips? Just SeventeenthMoore MagazineNunty ComicWhither the Chips?